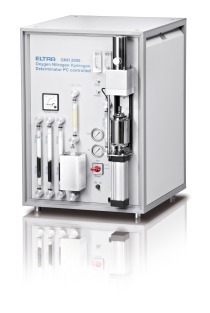 ELTRA’s TGA Thermostep is a thermogravimetric analyzer which determines various parameters such as moisture, volatiles and ash content in one analysis. The user defines the temperature profiles and atmospheres according to his requirements. The TGA Thermostep analyzes up to 19 samples with a maximum weight of 5 g each, reaching temperatures of up to 1,000 °C. 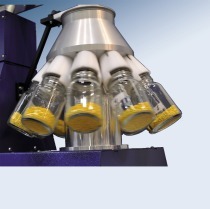 To determine volatile components in a sample reliably and in accordance with the ASTM standard, the crucible lids can be automatically placed and lifted during analysis following a user-defined program. Operating the Thermostep is simple and safe. Parameters such as heating rate, hold time, atmosphere etc. only need to be defined once for the first analysis and can then be conveniently saved and called up for subsequent measurements. 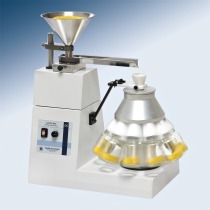 The user defines the temperatures and related hold times until the desired constant weight is obtained and/or a time limit is reached. 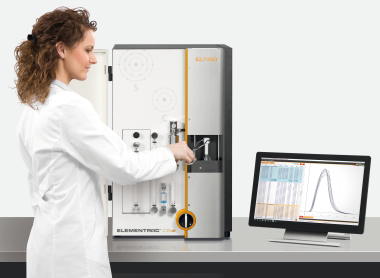 ELTRA also offers thermogravimetric analyzers with integrated automatic sample loading which substantially increase the sample throughput. The range of application areas for ELTRA’s Thermostep includes food, environment, plastics, mining and metal processing.